"As we examine the path Jesus walked, we will see that it took Him through many of the same challenges we ourselves will face in life. "While we will find on our path bitter sorrow, we can also find great happiness. "As we strive to place Christ at the center of our lives by learning His words, by following His teachings, and by walking in His path, He has promised to share with us the eternal life that He died to gain. 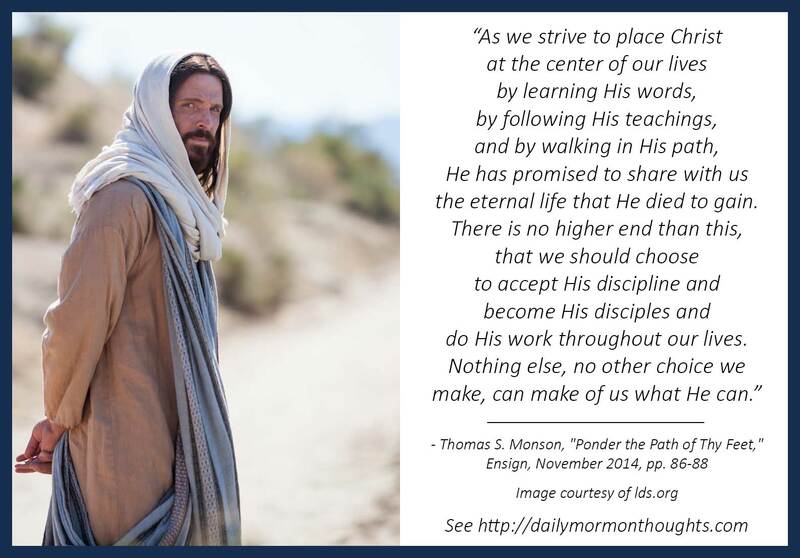 There is no higher end than this, that we should choose to accept His discipline and become His disciples and do His work throughout our lives. Nothing else, no other choice we make, can make of us what He can." A number of speakers have noted over the years that it's not nearly as important to walk where Jesus walked as to walk how He walked. His gift to mankind was that "He marked the path and led the way" (Hymns No. 195) so that any who desire may follow. He invited his followers anciently, "For I have given you an example, that ye should do as I have done to you" (John 13:15) as He served unselfishly. After teaching the Nephites to pray, he admonished, "Behold I am the light; I have set an example for you" (3 Nephi 18:16). In this insightful talk, President Monson points out many of the ways the Savior set examples for us, experiencing the kinds of things that we do in mortality. 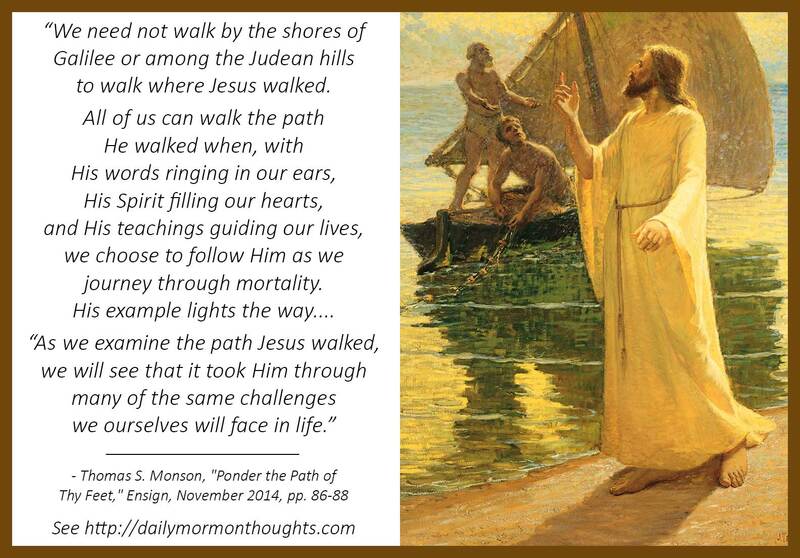 Truly, the path He walked "took Him through many of the same challenges we ourselves will face in life." We can find great reassurance and inspiration in pondering how he acted and responded in the midst of those situations. 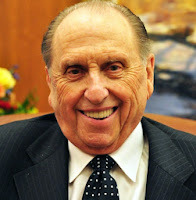 This final challenge and invitation from President Monson is particularly beautiful; "we should choose to accept His discipline and become His disciples and do His work."